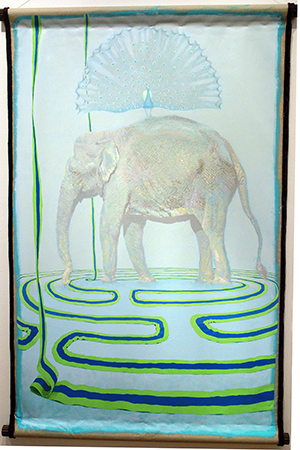 MCCC Gallery Opens New Season with Visual Arts Faculty Exhibit Sept. 5; Community Invited to Reception Sept. 19, 5 p.m.
"Peacock and Elephant," acrylic, canvas, velvet, and wood, by Kyle Stevenson. 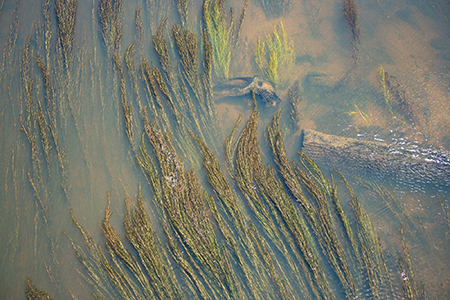 "Trace The Forms That Come and Go," a photograph by Michael Chovan-Dalton. 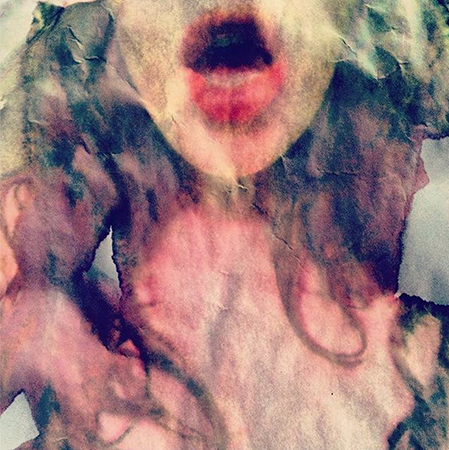 "Open," mixed media by Kerri O'Neill. West Windsor, N.J. – The Gallery at Mercer County Community College (MCCC) puts its own talented faculty in the spotlight for the “2018 MCCC Visual Arts Faculty Exhibit.” The show runs from Wednesday, Sept. 5 through Thursday, Oct. 4. The community is invited to a reception on Wednesday, Sept. 19 from 5 to 7:30 p.m. The MCCC Gallery is located on the second floor of the Communications Building on the college’s West Windsor Campus, 1200 Old Trenton Road. The show will feature approximately 20 works by the college’s full-time and adjunct Visual Arts faculty members. All exhibited work is current, produced in the last two years, and portrays the range of styles and formats present among MCCC’s diverse faculty. Recent shows have included artworks in oil painting, watercolor, ceramics, photography, digital design, interactive technology, sculpture, installation and more. Among the participating faculty members are Emily Buchalski, Ryann Casey, Michael Chovan-Dalton, Lucas Kelly, Tina LaPlaca, Paul Mordetsky, Kerri O'Neill, Lauren Rabinowitz, Kyle Stevenson, Michael Welliver and Mauro Zamora. Gallery hours for this show are Mondays, Tuesdays and Thursdays, 11 a.m. to 3 p.m., and Wednesdays, 11 a.m. to 7 p.m.
More information about this and other exhibits at the MCCC Gallery is available here. Directions to the campus and a campus map can be found here.